Is Rocky Point Mexico Safe? 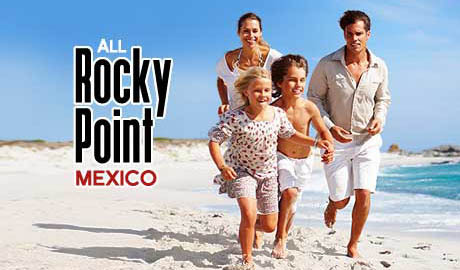 Thousands of US citizens travel to Rocky Point every month, and enjoy a wonderful time - with little thought given to safety. The truth is, very few visitors experience issues that cause them harm, or even an inconvenience. Quite often those who experience difficulty played a role in bringing on the trouble. In our many trips to Puerto Peñasco, over the last thirty years, we have never had any problems. Same with virtually everyone with whom we discuss this topic. Generally, the local people are kind, honest and appreciative of your visit and the impact it has to their local economy. However, just like in the States, you may come into contact with that "bad apple" - so be aware, careful and cautious. View maps of Rocky Point and travel directions for general information on the area. Note that we are not safety experts and we do not represent any interests or governments in either country, but our experiences lead us to follow three simple precautions. (Do not rely solely on OUR suggestions here - always confirm and verify via trusted sources to your own satisfaction). Check with those in the know. 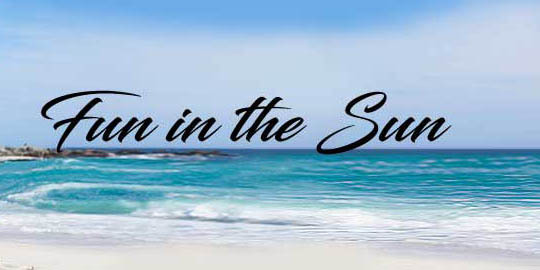 The US State Department, the Puerto Peñasco Visitors Bureau, Arizona Office of Tourism, local and national news outlets, and major travel websites are all good resources for current conditions regarding safety while traveling to, and spending time, in Rocky Point. If you are 16 years old or older, you are required to have a passport for returning to the US. Those 15 years and younger will need other documents (usually a birth certificate and some form of ID - Check with US U.S. Customs and Border Protection for the latest requirements). This identification may be requested by local officials in Mexico as well. Keep it with you at all times. You will be inside a foreign country, subject to their laws and customs - which may vary greatly from those in the states. While many US travelers tend to ignore local speed limits, it is not a good idea. Firearms laws are strictly enforced in Mexico, and the penalties are severe. Do not enter their country with any of these items. The US/Mexico border is open from 6:00am to midnight. The benefit of traveling during the day is obvious. On extremely rare occasions, US travelers have been accosted by area "banditos". The Mexican government has improved the situation immensely, but traveling in caravans during daylight reduce the likelihood even further. If you are traveling alone, caravan along with another US vehicle and stay together until reaching Rocky Point. Generally speaking, purchasing Mexican insurance protects you against jail time or heavy fines in the event of an accident. It does not seem matter who caused the accident, it will most likely be considered your fault. With Mexico insurance, you show the certificate to the officer, and most of the time you will be free to go. Without Mexican insurance, you are at the whim of the investigating officer. Our recommendation, "don't leave home without it". Some local individuals in Mexico speak English (in varying degrees). It is the responsibility of visitors to have a means of communicating with locals. If you don't speak their language, it is a good idea to have a book or an app that can help you communicate. Use common sense to keep yourself and members of your group out of harms way. If you have any issues, click here for some Rocky Point emergency contacts.